Your home should be the place, where you find peace after the long, exhaustive day. But all the mess can prevent you from having it. Remove that obstacle in a flash by booking our domestic cleaning services, which are available in North London. We know exactly how to turn every mess into perfect cleanliness, making no hassle. We work with minimal disturbance for the customer, so that you don’t have to lift even your finger for the cleaning session. Our excellence is based on our brilliant team of cleaners, who are tireless in their seek of precision. They work in an organised manner, which helps them perform best for minimal time. All of our people are meticulous and detail-oriented, so be sure that we won’t leave you, before we make sure that you are absolutely happy with the results. We realise that it may be hard for you to let strangers in your home. But we are licensed and bonded company, which collaborates with insured and vetted workforce. We guarantee you that with us you are absolutely protected by any traps. No need to spend ages in trying to put in order your home, because you have our helping hand. We will take care of your home, while you can take care of your rest and free time. Give us a chance to show our abilities, and our results will talk for themselves. To sanitise a home in this busy life is like to deprive yourself of any rest. But as every person, you need some free time, as well. That’s why the best decision is to rely on us and we give you a word that your home will be sparkling. Our cleaning techs will put every effort, which serves the special needs of your home. Give us a call in a day and time of your convenience and our friendly representatives are always happy to help you. 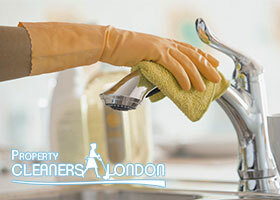 They will provide you with more information about our domestic cleaning services in North London and make you a personal quote for free. Our rates are fixed and constraint, so no need to hesitate. Grab the phone and dial our number!